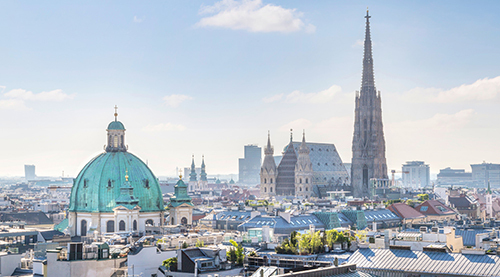 We would like to invite you to our Vienna Arbitration Days 2019. Over the years the Vienna Arbitration Days have become the leading arbitration conference in Austria. Once again we welcome participants from numerous jurisdictions around the globe for two days of discussion on leading topics in international arbitration. Speakers and moderators include: Anna Joubin-Bret (UNICITRAL), Edna Sussman ( ESQ), Philip Anthony (CEO DecisionQuest ), Philippa Charles Stewarts (Head of international Arb), Claudia Winkler (CDRC Vienna ), Günther Horvath (Freshfields Bruckhaus Deringer LLP ), Wendy Mac Laughlin (Senior Vice President at Hill International), Howard Rosen (FTI Consulting, Senior Managing Director, Toronto), Marie Stoyanov (Allen & Overy LLP), Klaus Peter Berger (University Cologne), Paul Oberhammer (University of Vienna), Floriane Lavaud (Debevoise&Plimpton), Cecilia Carrara (Legance - Avvocati Associati), Carsten Van de Sand (Hengeler Müller), among many others. After last year’s success we expect a particularly high number of registrations. We would not be surprised if the conference was sold out early. In order to give our members the chance to secure their participation, Arb|Aut offers a special rate for Arb|Aut members, who register and pay the registration fee on or before 15 January 2019. Please use the followed link to register here. Vienna from 26 February to 2 March 2019, immediately preceding the Vienna Arbitration Days. Application deadline is 20 December 2018.